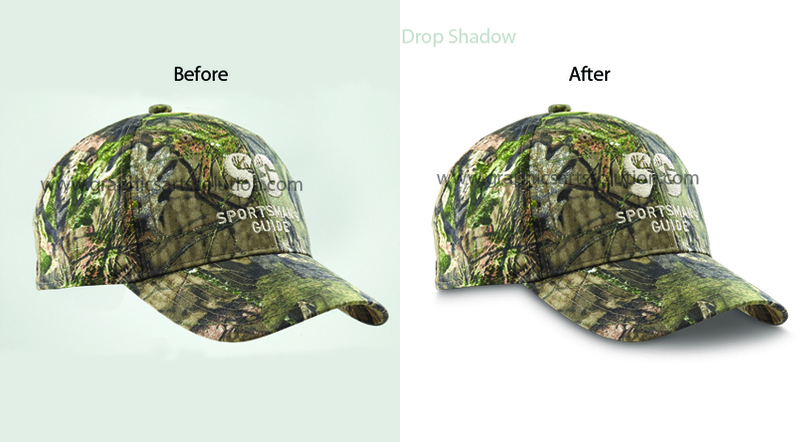 A Drop shadow is a type of Photoshop shadow service which make a sense of depth and texture and give the visual effect that the object is slightly raised above its background. This can be back or below an image and gives the influence of shadows from excitation. The Photoshop Drop shadow is very essential in digital photos for genuinely look and increasing the natural beauty. Graphics Arts Solution provides quality shadow service for all kinds of images. We use a wide range of the newest shading technique and tools for creating shadow of an image to give a bright, well adjusted effect. As a highly experienced graphic design company, we can make best types of drop shadows that exactly recapitulate their natural substitutes and it can be used for different intention such as e-commerce sites, digital media, printing media, magazine, catalogs etc. Drop Shadow is exploit and we applied into the digital lay-out by the Photoshop’s striking features. This service provides a fresh look of the image and raise the balance, stroke length and sharpness. We can pledge that you will feel awesome to work with us and be able to differentiate us from other service providers. Photoshop Drop shadow service give a portion o fthe dimension to gray picture that bring them something lively and shiny . Realistic effect can be conveyed by darkening the pixel colors where the shadows are settled instead of looking them grey. As a result its looks more than authentic, in this case shadows to be neater & properly dropped or created . Photoshop retouching is quite complex and exquisite task that requires sound attention, expertise and skill. Our specialist graphics experts assure you the smoothest shadowing results to your product photography. By using innovative mixing and softening processes, resulting shadow will show accurately by creating an affection of altitude. On the other hand, it is important to maintain the dimension of the shadow and the size of the image. This is where the Drop Shadow feature is utilized and we are efficient to come up with drop shadows that competing their natural equivalents.